Inspiration times two! 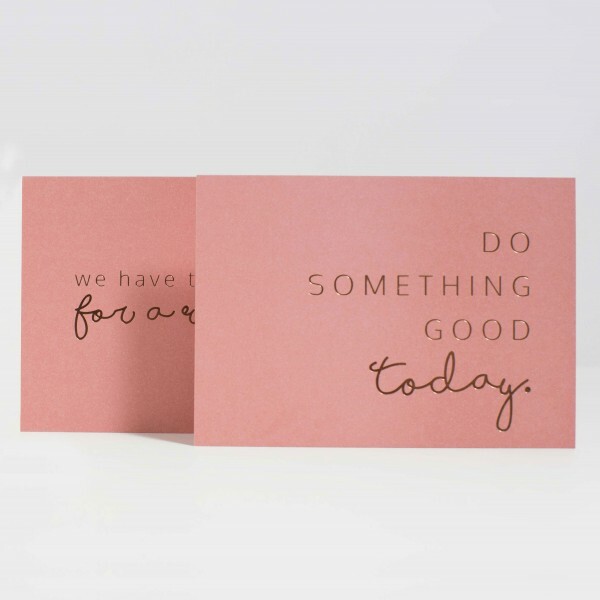 Gorgeous postcards in a striking dusty pink with rose gold foil stamping. The perfect addition to your or your lucky friend's wall and desk.